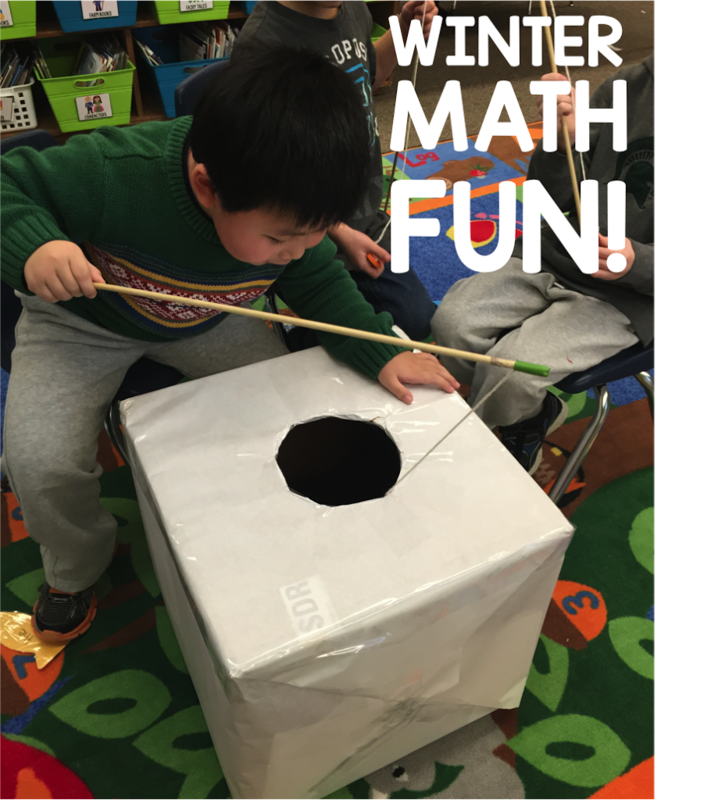 Winter math activities (Ok, let’s be honest, any math stations really . . . )are my favorite, because it just feels so much like game play to me and to my students. 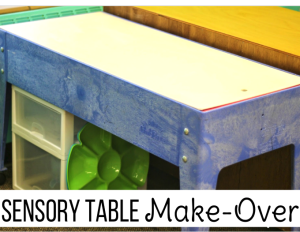 I know that many of you worry about accountability with math stations in your classrooms, but I really believe that if the expectations are laid out, students understand what they need to do and use this time to practice, because, let’s face it, it’s fun. 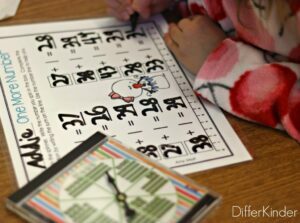 And, when they don’t, well they get to do not-so-fun stuff like writing their numbers from 1-100. 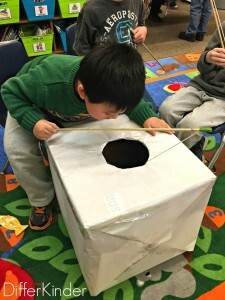 It only takes a couple of times of doing that, and they quickly know that it’s better to use the materials and activities as intended rather than goofing off. This time is really all about practicing their math skills, not producing a product necessarily. 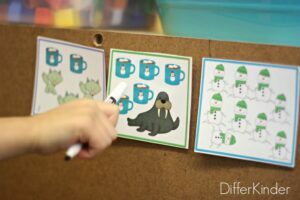 Oh sure, there are times that I will throw in a printable recording sheet with an activity, but as a norm, I prefer them use dry erase markers and laminated sheets. I can still monitor their activities with these as needed, and it means a lot less paperwork. So I thought I’d give you an idea of just a few of things we are doing in math right now. You can click on any of the pictures to get more information on them if you’d like. 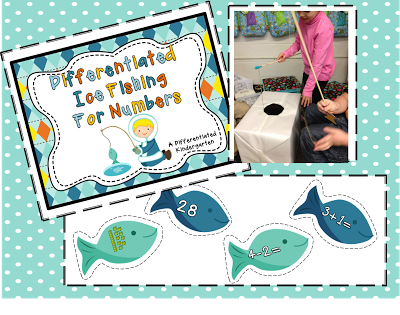 Ice fishing is a favorite in my class, and the best part is that it can be used for basically any skill. 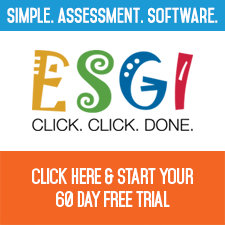 For math I just happen to have a freebie for you to use. All you need is a box, some white paper, some rods, string, magnets and either paper clips or brads to put on the ends. Wa-la! An ice fishing game! Make sure you pick it up. (Just click the picture above.) It’s free for goodness sakes. I promise your kids will love it. Self-correcting, independent centers are always part of my word work and math stations. 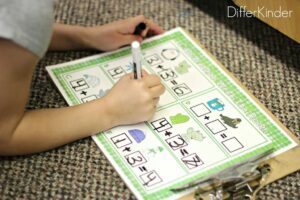 This differentiated math one has a several levels for addition and subtraction. Students write the equation . . .
and figure out the answer. Then they open the card to see if they did it correctly. I can hear, “I did it” throughout the class. It’s music to my ears. It’s part of my Winter Sports Math Stations Galore pack. Number and addition Yatta is a stations that can go basically anywhere. 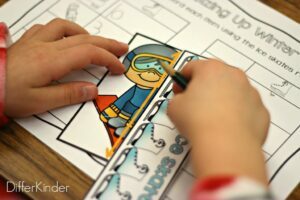 It’s super simple to differentiate, and I love that my kinders police each other. You have to complete the problem and be the first to find the answer, touch it and say ‘Yatta.’ If you do, you win the playing card. You’ll notice that the playing mat has blue and orange tape on it. This tells my friends who have an orange or blue math name tag that this is the mat that they use. Colors change all the time but they always know which tiered activities they should be using with this color system. This is also an item from Winter Sports Math Stations Galore. An oldie but a goodie, bump is so versatile and easy to differentiate. This one from Winter Sports Math Stations Galore is for 2 dice and there is another is that pack for 3 dice, but I also a spinner version in our spinner pack that works with doubles. 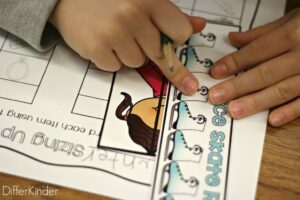 Non-standard measurement is one place where I often use printable recording sheets so that students can color the items and then use the back to measure other items in our classroom. By the time they have used a couple of these stations, they are ready and anxious to try out rulers like the ‘big kids.’ This item is from Winter Sports Math Galore. 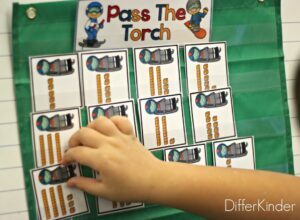 I have many many many (did I mention I have many) kinesthetic learners in my class which means I am never without a write the room activity in either math or word work. 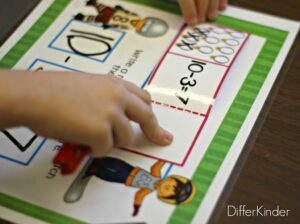 This set is tiered for students who are still working on number recognition to 20, plus there are tiered levels for addition as well. Students travel around the room searching for the cards and record their answers on either a black and white or colored recording sheet whichever you prefer. 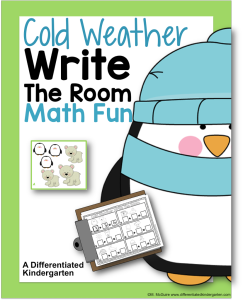 It’s included in my Cold Weather Math Write the Room packet. 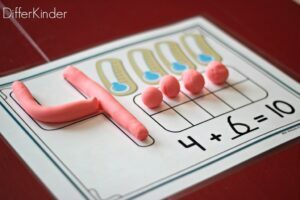 Fine motor strength has been a struggle this year so play-doh is absolutely a must as often as I can incorporate it into a station. 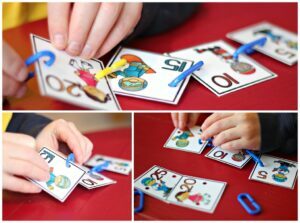 This one lets them work those little muscles while completing the making ten equation. 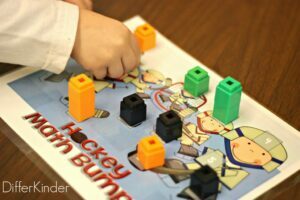 It’s another activity included in Winter Sports Math Stations Galore. 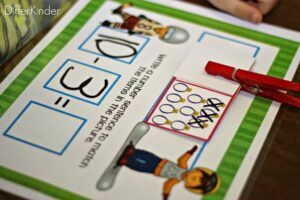 Hide and seek games work for ELA or Math activities and since we are working on tens and ones, this one is allowing us to get a little extra practice. One student hides a torch while the other students close their eyes. Then they have to identify the card and number that they believe the torch is hiding behind. Another Winter Sports Galore activity . . .did I mention there are like 13 activities included in that pack. Counting by 1s, 2s, or 5s is practiced by using linking chains and punching a hole in these cards from Winter Sports Math again. Spinner fun is quickly becoming my classroom favorite. I have done the differentiating for you and creating spinners can be as easy as adding a pencil and paperclip. This one works tens and ones plus adding one more. There are so many options in these packs. 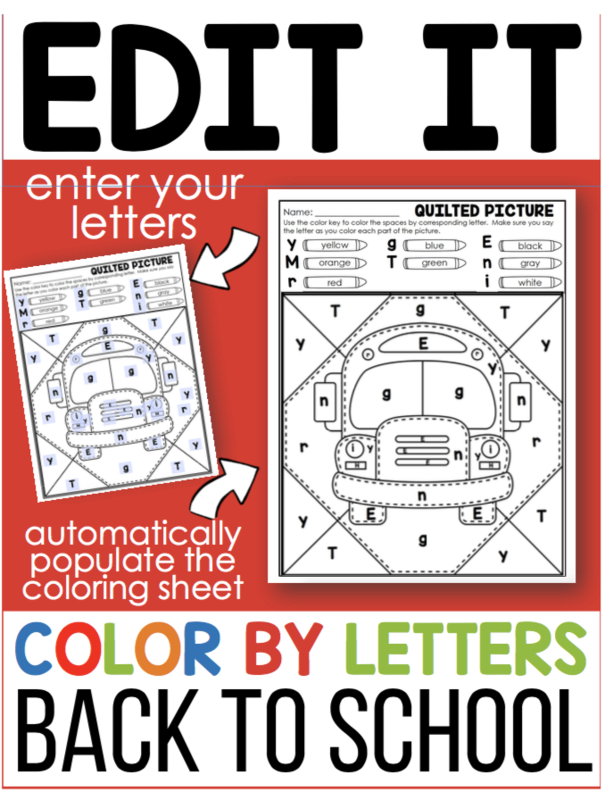 This one is 143 pages and you can use either black and white printables or colored response sheets. I had so many requests to bundle my math spinners that I went ahead and created a couple different options. You can purchase as a full year, the first 5 or the last 5. Just click on the picture below to see your options. 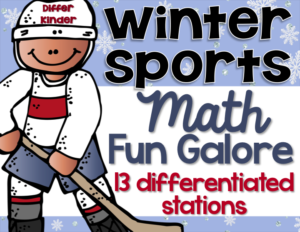 If you’d like to see more about the Winter Sports Math Galore packet, click below. Or you can find the Cold Weather Write the Room packet here. 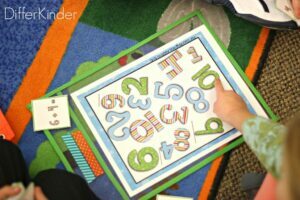 What’s your class’ favorite math activity this time of year? Loooovvveeeee the ice fishing!!! I’m off to find a box to cover in white paper!! What a cute idea. Great post! 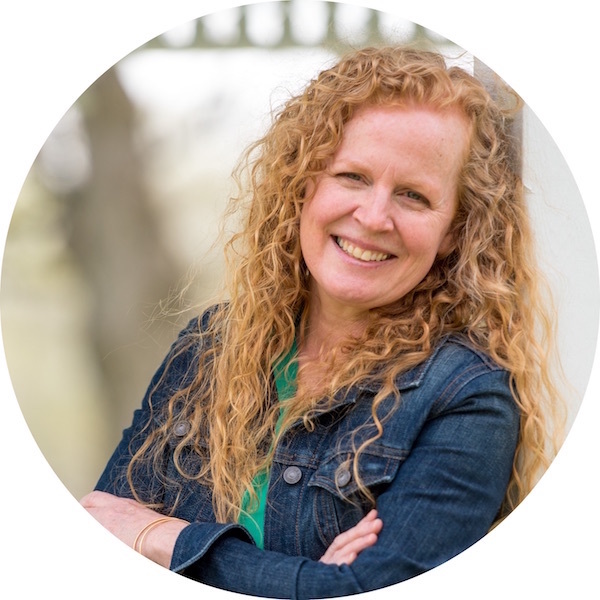 You have so many fantastic ideas – I saw the ice fishing game on Pinterest and came over, then ended up reading several posts and signing up for your newsletter. Thank you for sharing so many awesome ideas!